Floor Samples gives you luxury at an affordable price! Today we take a look at modern white floor lamps available at Floor Samples. 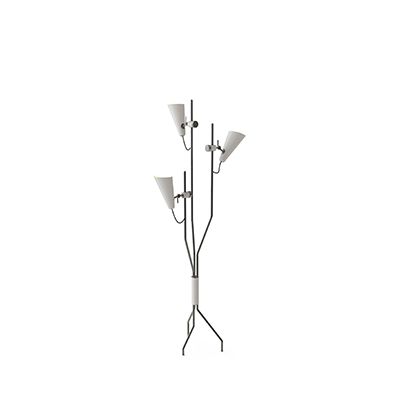 Currently, Floor Samples has only one white floor lamp, which is the Armstrong. So in that case, we are going to offer a couple of perfect scenarios in which, this beautiful floor piece can adorn your living room and upscale it. 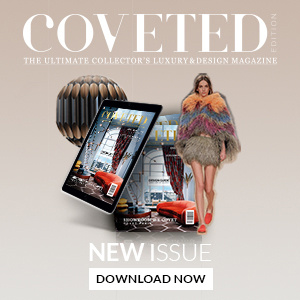 SEE ALSO: Top Exhibitors At This Upcoming Maison et Objet 2019! Floor Samples gives you the opportunity to adorn your Scandinavian living room. Or, at least get a touch of Scandinavian influence in your living room decor. The floor lighting piece showcased in this photo isn’t really what we are looking for. We want something more discrete and versatile. This tripod floor lamp seems like the perfect addition to this Scandinavian living room. It has that simplistic look, seems versatile enough. However, the color, just seems to be off-putting. That’s when Floor Samples come in handy. 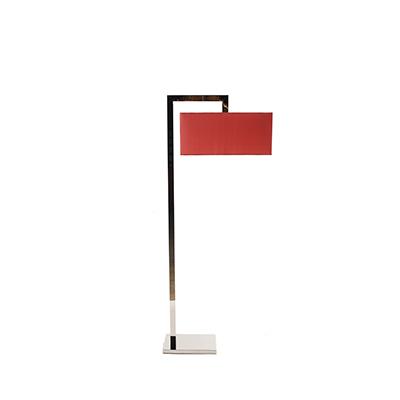 Armstrong floor lamp is a minimalist lighting piece that has an assertive touch to its design. Inspired by one of the all-time greats in the jazz industry, Louis Armstrong. With a premium look and feel to it, this Scandinavian influenced lighting piece features an all-brass body and an all-aluminium shade, with a marble base. Armstrong is a mid-century modern lighting piece that feels like it belongs in any modern style home décor. 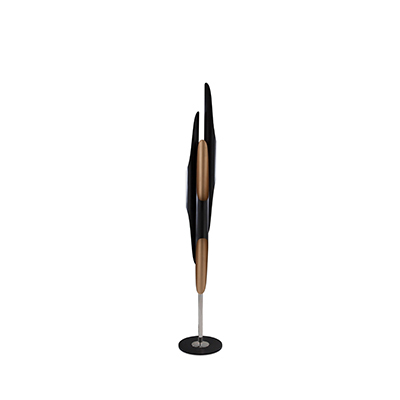 A mid-century contemporary floor lamp that can easily be part of any living room, regardless of the interior design. What’s Hot On Pinterest IMM Cologne Forefront Of 2019 Design Fairs! Mid-Century Project Deep In The Heart Of NYC! Eclectic Skyline Residence Lighting Design You Can’t Miss!